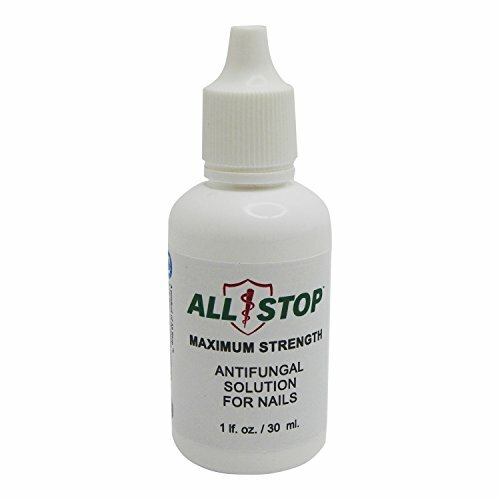 All Stop Antifungal Solution For Nails - 1 oz. Protects and soothes skin and nails irritated by fungal infections such as Ringworm, Athlete's Foot, Jock Itch, and other skin irritants. 1 oz. / 30 ml All Stop Toenail Fungus Treatment, uses 1% tolnaftate as the active. Tolnaftate belongs to the group of medicines called antifungals and is commonly prescribed by Doctors. It is used to treat some types of fungus infections and is only topically applied. It may also be used together with medicines taken by mouth for fungus infections. If you have any questions about this product by All Stop, contact us by completing and submitting the form below. If you are looking for a specif part number, please include it with your message.